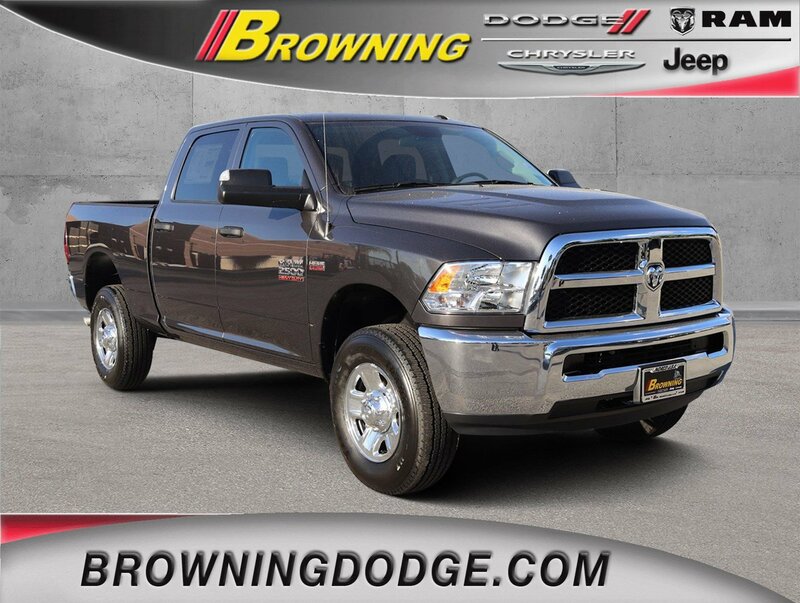 This Ram 2500 delivers a Premium Unleaded V-8 6.4 L/392 engine powering this Automatic transmission. 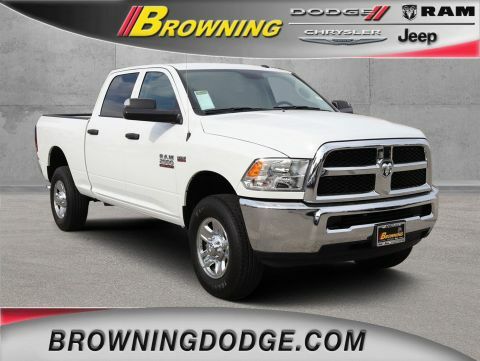 TRANSMISSION: 6-SPEED AUTOMATIC (66RFE) (STD), TRAILER BRAKE CONTROL, RADIO: UCONNECT 3 W/5 DISPLAY -inc: 5.0 Touchscreen Display, Overhead Console, Rear View Day/Night Mirror, GPS Antenna Input, Temperature & Compass Gauge, Integrated Voice Command w/Bluetooth, Charge Only Remote USB Port, SiriusXM Satellite Radio, For More Info, Call 800-643-2112, 1-Yr SiriusXM Radio Service. 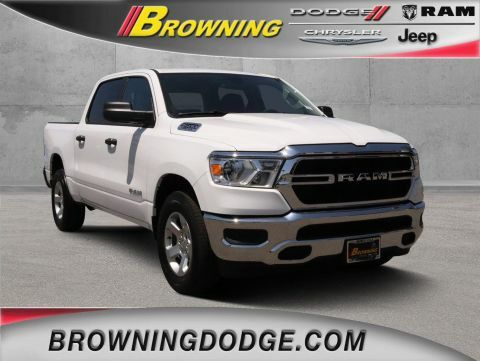 *This Ram 2500 Comes Equipped with These Options *QUICK ORDER PACKAGE 22A TRADESMAN -inc: Engine: 6.4L Heavy Duty V8 HEMI w/MDS, Transmission: 6-Speed Automatic (66RFE), Front Armrest w/Cupholders , POWER BLACK TRAILER TOW MIRRORS -inc: Trailer Tow Mirrors, Exterior Mirrors Courtesy Lamps, Exterior Mirrors w/Supplemental Signals, POPULAR EQUIPMENT GROUP -inc: Remote Keyless Entry, Carpet Floor Covering, Front & Rear Floor Mats, SiriusXM Satellite Radio, For More Info, Call 800-643-2112, 1-Yr SiriusXM Radio Service, PARKSENSE REAR PARK ASSIST SYSTEM, MANUFACTURER'S STATEMENT OF ORIGIN, LED BED LIGHTING, I/P MOUNTED AUXILIARY SWITCHES, GRANITE CRYSTAL METALLIC CLEARCOAT, ENGINE: 6.4L HEAVY DUTY V8 HEMI W/MDS -inc: GVWR: 10,000 lbs, 11.50 Single Wheel Rear Axle, 180 Amp Alternator, CHROME APPEARANCE GROUP -inc: Bright Rear Bumper, Tires: LT275/70R18E BSW AS, Bright Grille, Wheels: 18 x 8.0 Steel Chrome Clad, Bright Front Bumper, 18 Steel Spare Wheel. 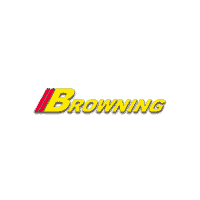 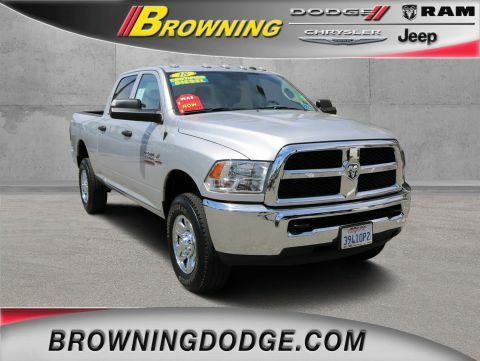 * Visit Us Today *Come in for a quick visit at Browning Dodge Chrysler Jeep, 1983 Hamner Ave, Norco, CA 92860 to claim your Ram 2500!